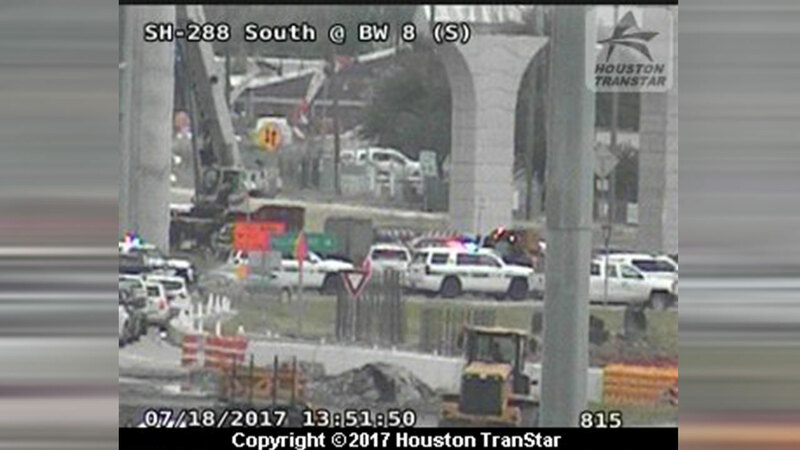 HOUSTON, Texas (KTRK) -- We're following breaking news on Highway 288, where a police chase has just ended. There are very few details as to what happened, but video from Skyeye 13 shows Brazoria County deputies stopped alongside the Beltway 8 feeder road. A black car is being searched by deputies, and one deputy can be seen holding a small girl who is clutching a teddy bear. Again, we do not know why the deputies began following the vehicle.